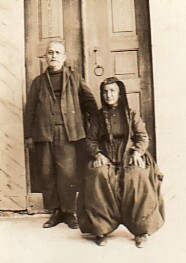 Above: His parents, Georgios and Maria. 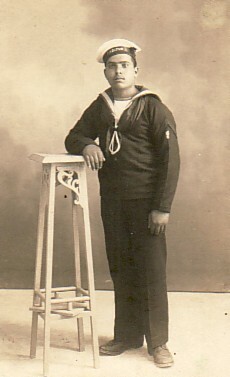 Above Right: Konstantinos' portrait taken in the Greek Navy. He served on the famous, Averoff. Above: Paleohori, 1926. With horiani. 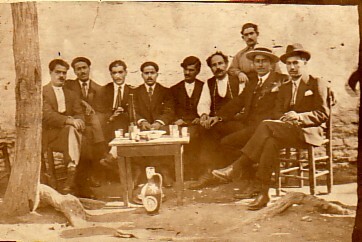 Konstantinos is fourth from the left. 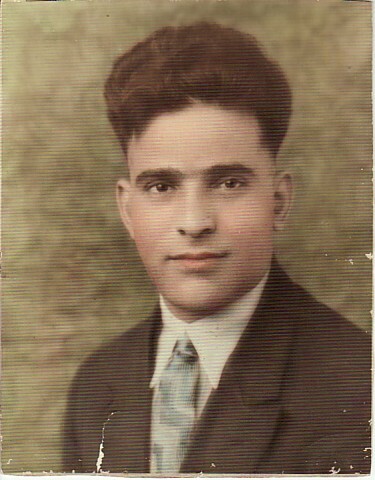 The photograph was taken around the time he was preparing to leave for Australia. 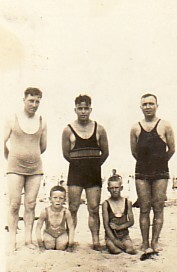 Above Right: At the beach in Sydney. Konstantinos is standing centre. 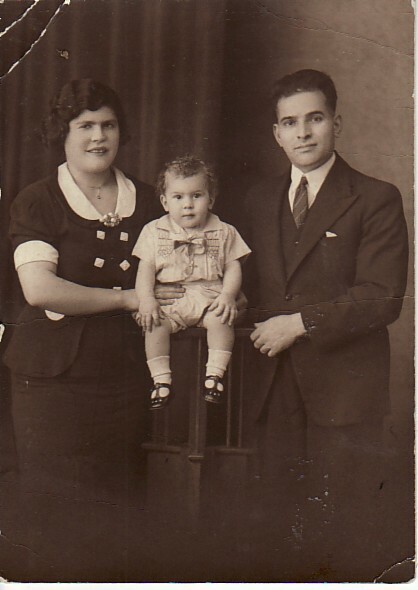 Above Right: With his brother, Nikolaos, and Mary Markou. 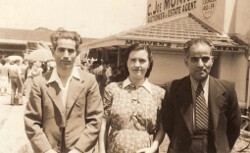 Above: The Markou family. With his wife, Sophia, and their son, Georgios. 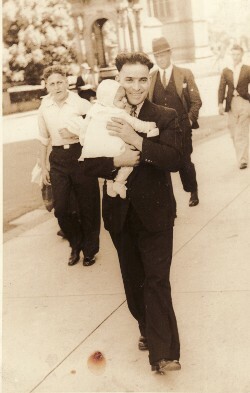 Above Right: With his son, Georgios, on the day of his baptism.